During the middle of the 1990's the Amiga entered the world of 3D gaming. Most people said that games based around a 3D engine with texture mapping couldn't be done on our beloved computer; They were wrong. 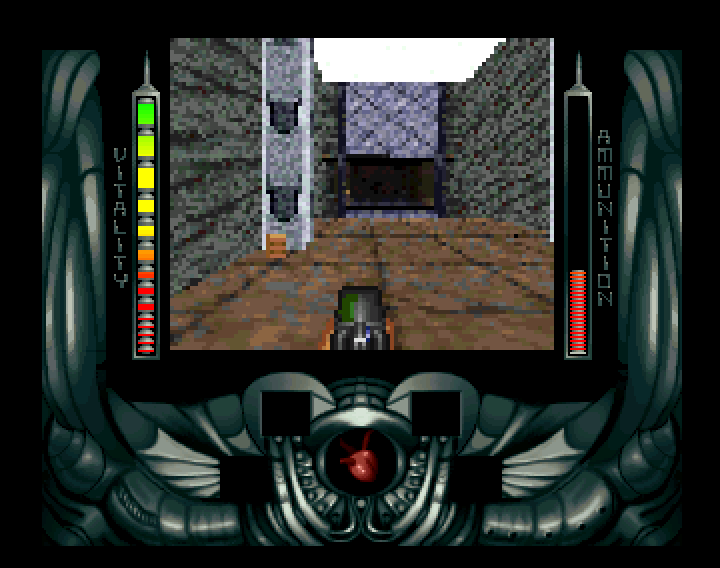 Several gaming companies, along with groups on the Demo Scene, proved that the Amiga was capable of running 3D engines. 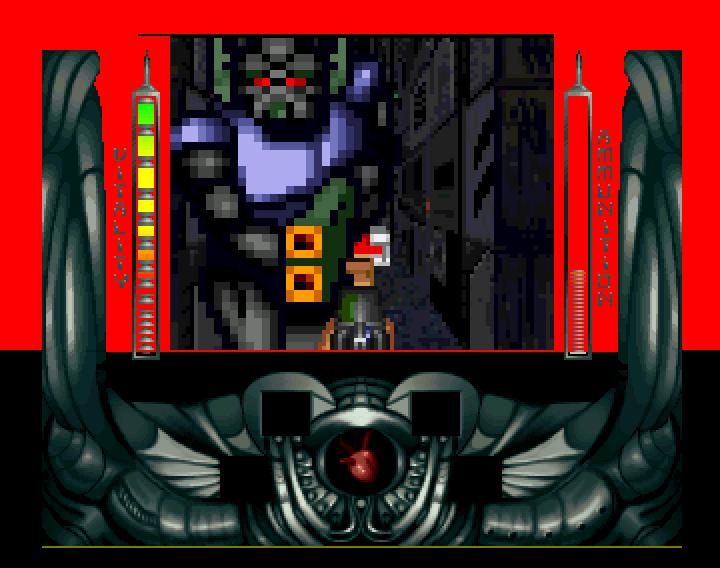 Suddenly, from 1995 and onward, people witnessed a huge rise in the amoung of so called "Doom-clones" on the Amiga. Several titles were released, among the games like Fears, Gloom, Breathless, and Alien Breed. Alien Breed was developed by Team 17, a crew well known for releasing high quality software. 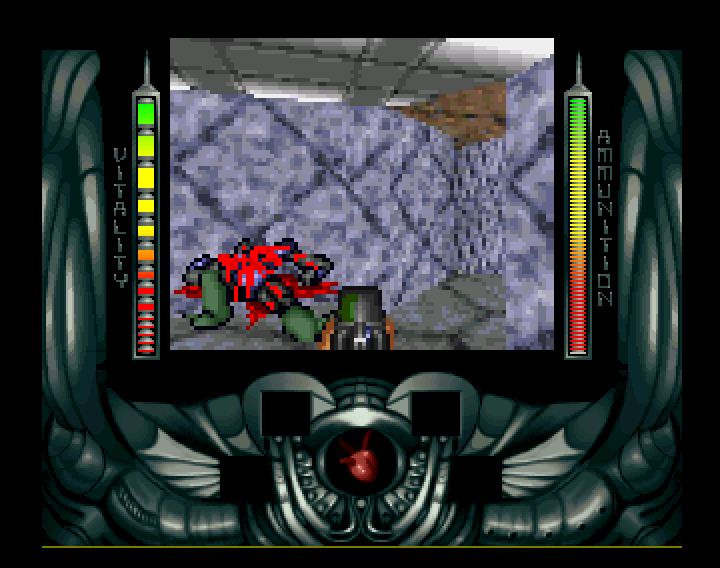 With Alien Breed, they took their first steps into the 3D realm of the Amiga. The question is, did they manage to deliver? 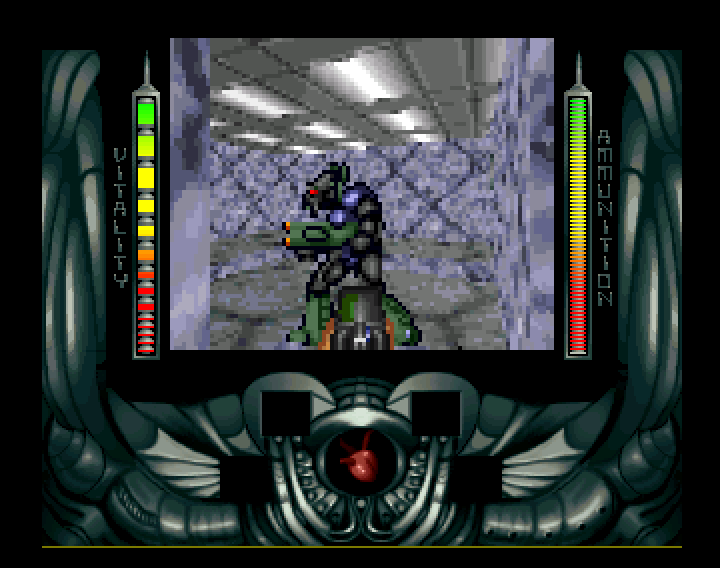 Alien Breed 3D was based on the old Alien Breed series which took the gamers by storm during the first half of the 90's. The former games was in 2D and Team 17 faced a big challenge trying to re-create the same atmosphere and playability that was the hallmark of the series. 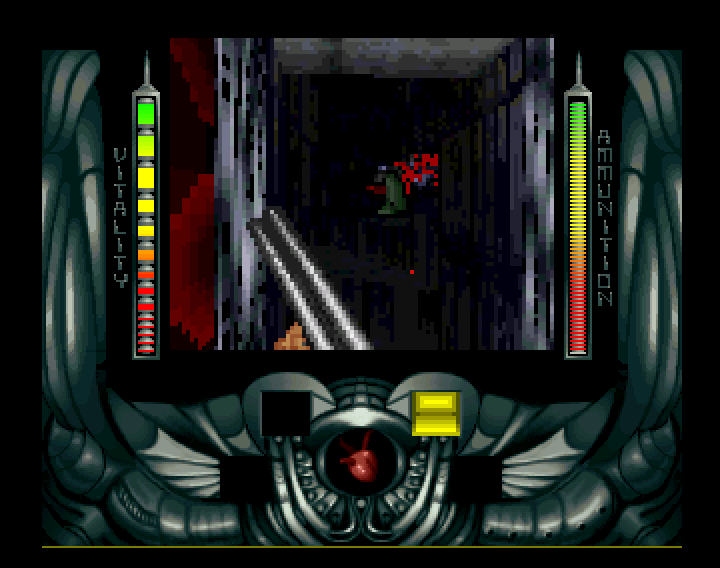 Another challenge was the expectations of the gamers, as one could imagine that they would compare Alien Breed 3D to similar software on other platforms, including Doom. Graphically Alien Breed 3D is quite good. 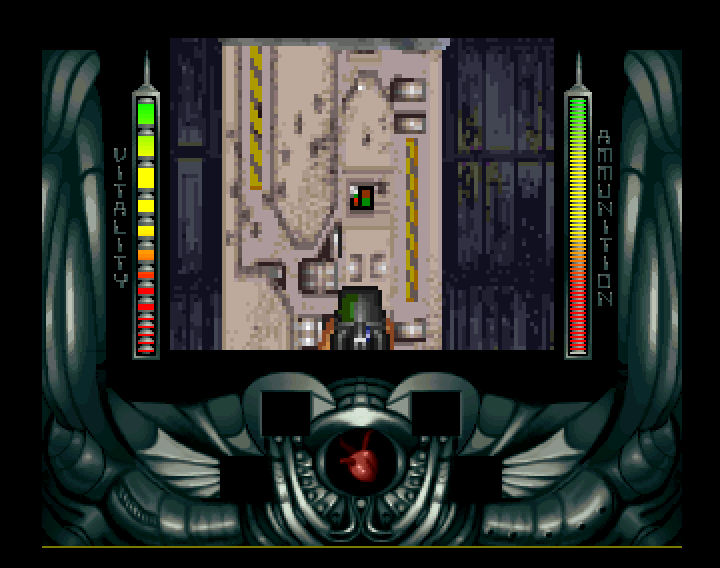 It works on a standard Amiga 1200 or a CD32, and the gameplay is quite smooth on those machines, even if they are only powered by a 14.7MHZ processor with the AGA graphical chipset. The visuals can look a bit blocky, as they run in 2x2 pixel mode instead of 1x1. The reason for that is that it would have been horrible slow if it was to run in the aforementioned resolution. Although, even if it was a bit blocky, it looked pretty good considering it was 1995. In the sound effects department, the game delivers. 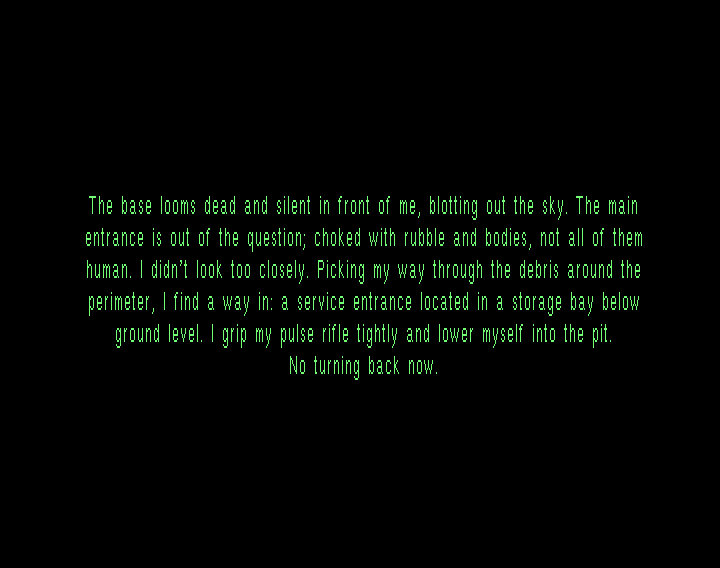 The sounds and screams of aliens creates a quite frightening atmosphere, and makes you a bit afraid to enter new areas. You never know when an alien suddenly attacks you. As for the gameplay itself, I found the game enjoyable. It takes time to complete each level and the challenges you meet can be tough. This means that it will keep you occupied for a while, and that you will be interested to find out what will be happening next. That you also can play deathmatch against a friend makes it interesting. You can connect two computers via a serial cable and begin the game instantly. Earlier in this review I mentioned peoples expectations. Well, at the time I believe, after reading magazines and talking to different people, that the game was well received. 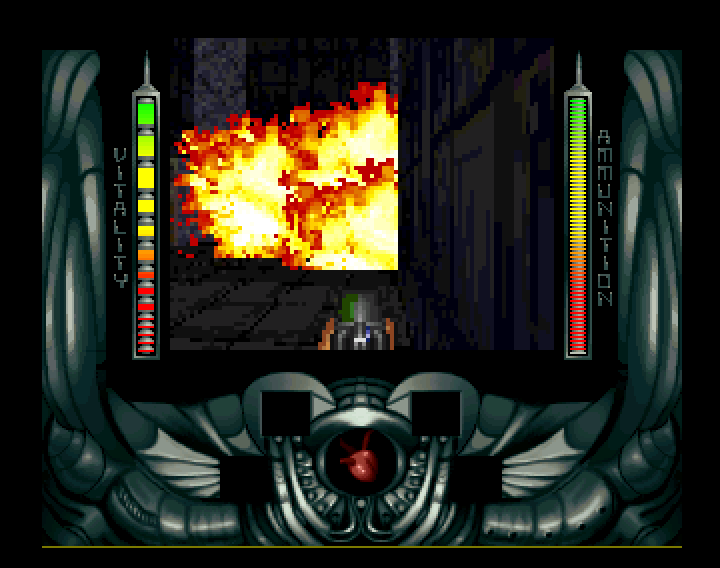 It was one of the first to break the 3D barrier on the Amiga, and it worked on standard AGA machines. Of course, there was room for improvements, for example in the graphics department. Alien Breed 3D 2, which was the sequel to Alien Breed 3D, corrected that specific point. 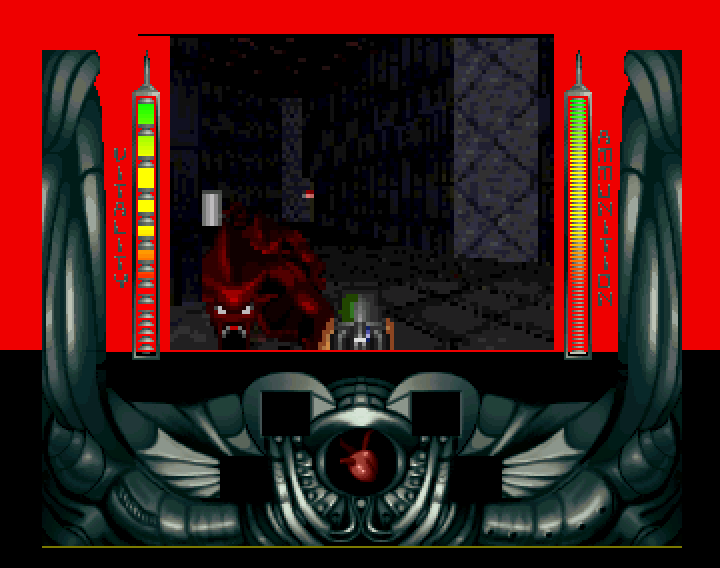 Also, people started comparing Alien Breed 3D to Doom, which was a bit silly. Doom was on a completely different platform with different hardware. 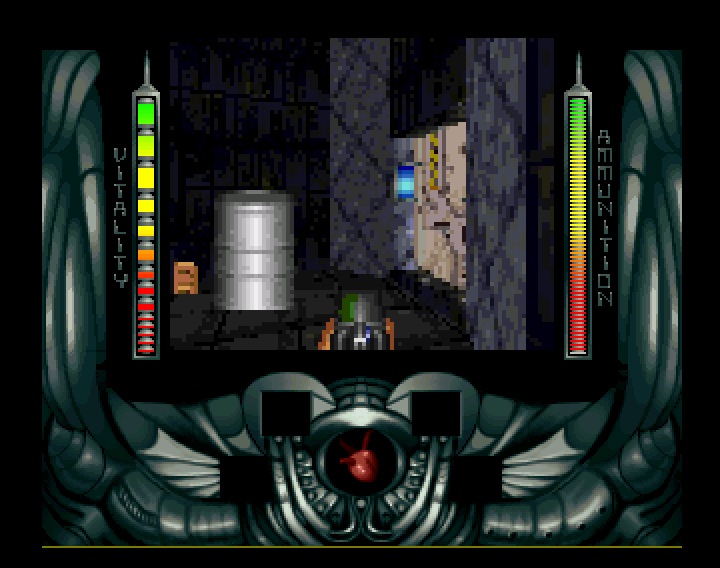 Although, a while later, a port of Doom appeared on the Amiga, making it available to all hungry FPS fans. It ran smooth on a 030. All in all, Alien Breed 3D was a great game for its time. 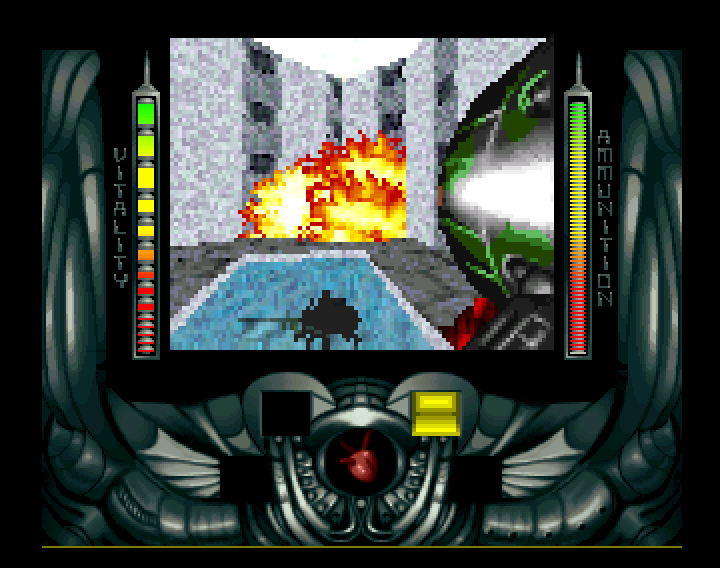 It was important as barrier breaker when it came to 3D games on the Amiga, and it clearly showed that the machine had a future. 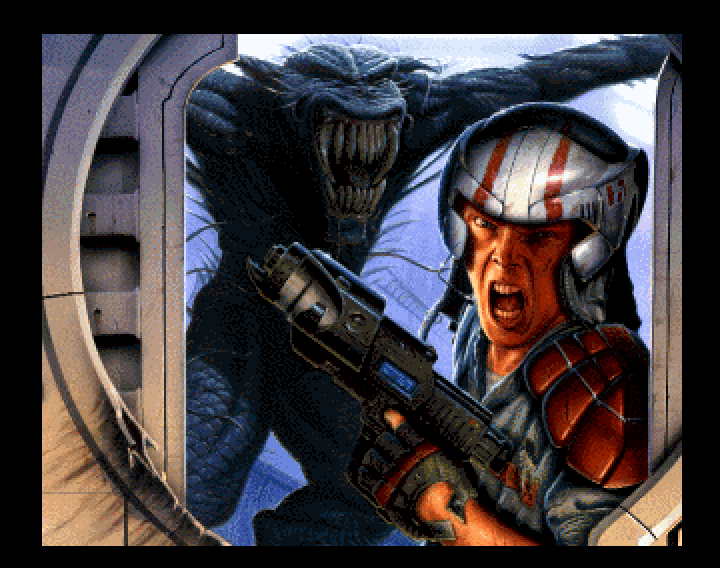 Later on, we would see excellent titles with awesome graphics in the likes of Breathless and Genetic Species. 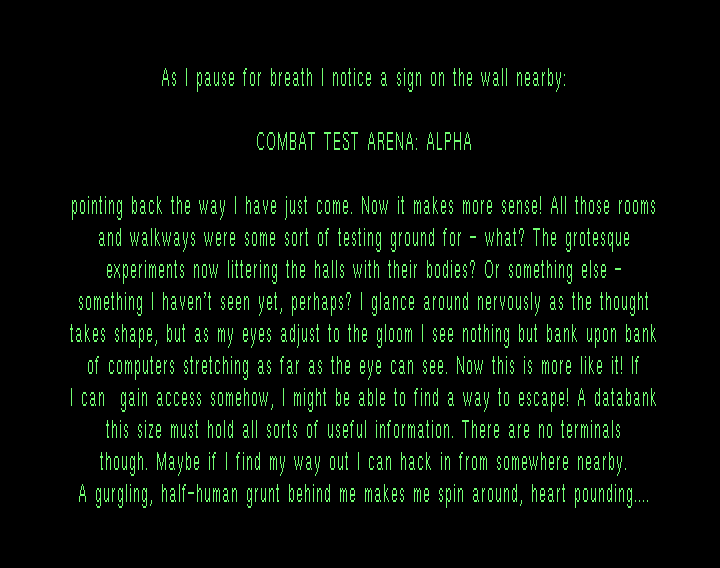 Still today, Alien Breed 3D is enjoyable and it proves a challenge.